This hearty recipe is fantastic for a big Mexican Fiesta, as you can prepare it ahead of time to free up your Thermal Cooker for preparing accompaniments. 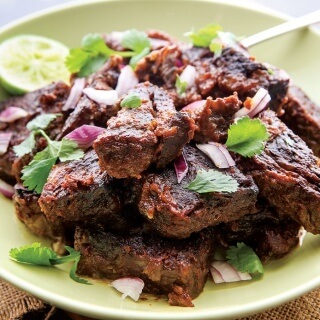 It also feeds a crowd, but can be halved and made on a budget with different cuts of meat. 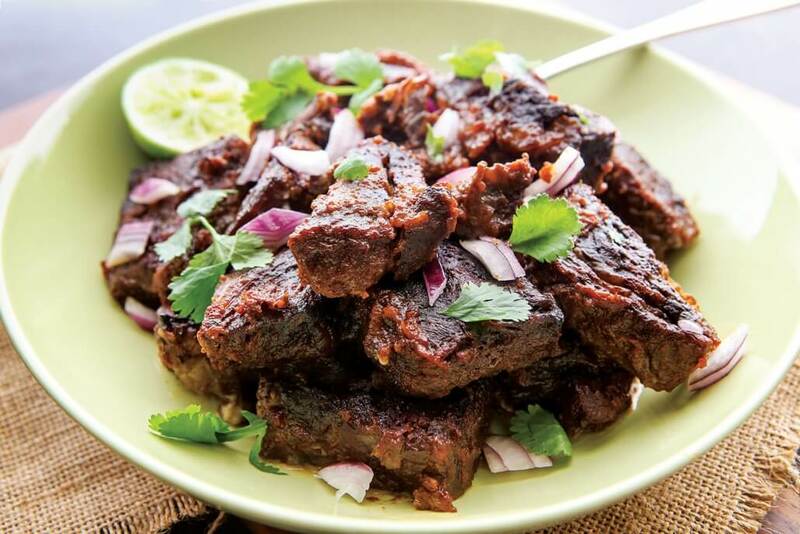 Serve these rich ribs with tortillas or Mexican red rice, salsas and sour cream for an instant hit. This recipe is exclusive to 'A Little Taste of Mexico'. Buy Now. This recipe has a 2 chilli rating, but can be easily adapted to your heat preference. The book also has variations for Low Carb Healthy Fat, Super Skinny and Budget. *please note the nutritional information is based on the sauce only. So you can adapt to your meat preference. Substitute vegetable stock and omit meat. Use the marinade on vegetables, tofu, tempeh kebabs. Also delicious on a slow cooked vegetable bake. Made these for the first time last night, after marinating overnight….so worth the wait the meat was falling off the bones and so tender and flavourful. Served it with red rice and a dollop of sour cream. I am so in awe of how so many cheaper cuts of meat have been given so much great taste in Nic’s books worth every cent. These are the most moreish finger licky ribs. Great flavor and not overly spicy. Great the next day reheated. Oh My Giddy Aunt! These have to be our all time favourite recipe. The flavours the tenderness of the ribs! Requested often! Great with other meats too! OMG!! Yum! These are amazing! The meat is so tender and tasty! Will definitely be a regular meal!